Experience a double bill of celtic discovery. Take the stress out of traveling and discover the rich heritage and stunning landscapes of Scotland and Ireland on our intimate escorted tour. On this award winning escorted tour of Scotland and Ireland you will travel in a Deluxe Mini Coach with no more than 16 fellow travelers, along with an expert Driver Guide ensuring a highly personalized experience. You will encounter the diverse and many treasures of these two great Celtic lands visiting Edinburgh, the Scottish Highlands, Dublin, and rural Southern Ireland. 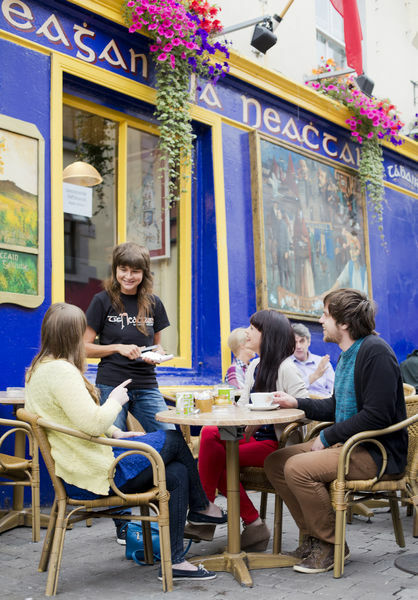 This intimate professionally guided tour takes you off the beaten path and encompasses Loch Lomond National Park, Eilean Donan Castle, Glencoe, Edinburgh City, Dublin City, Kilbeggan Distillery, Cliffs of Moher, The Dingle Peninsula, Cork, and much, much more. 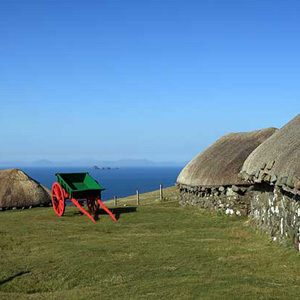 Explore the island of Iona, the Isle of Mull with an optional boat trip to the isle of Staffa. 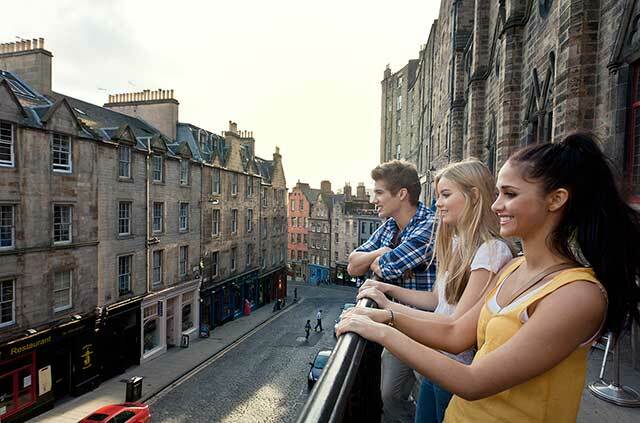 Explore Loch Ness, and return to Edinburgh city for an overnight stay. See the Rock of Cashel. 4-Private Airport Transfers as specified in your itinerary. 12-Nights deluxe hotel accommodations with full breakfast daily. 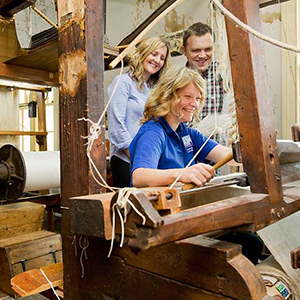 5-Day professionally guided small group tour in Scotland – with no more than 16 passengers! 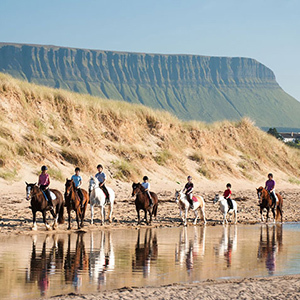 5-Day professionally guided small group tour in Ireland – with no more than 16 passengers! Touring Maps & List of recommended pubs, restaurants and places of interest. This morning, join your small escorted group tour of Scotland. 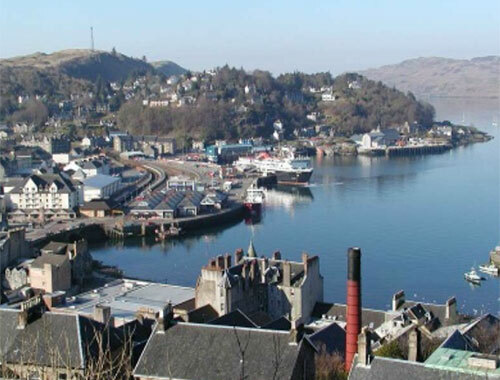 Highlights include Loch Lomond National Park, and Inveraray, seat of the Campbell clan and the heart of the ancient Scots kingdom of Dalriada, before staying in the beautiful harbor town of Oban for 2-nights. Today is an island adventure exploring the dramatic southern coastlines of the Hebridean Isle of Mull and the tranquility of the island of Iona, birthplace of Celtic Christianity and traditional burial ground of Scottish Kings. It also gives you the option to take a boat trip to the isle of Staffa. 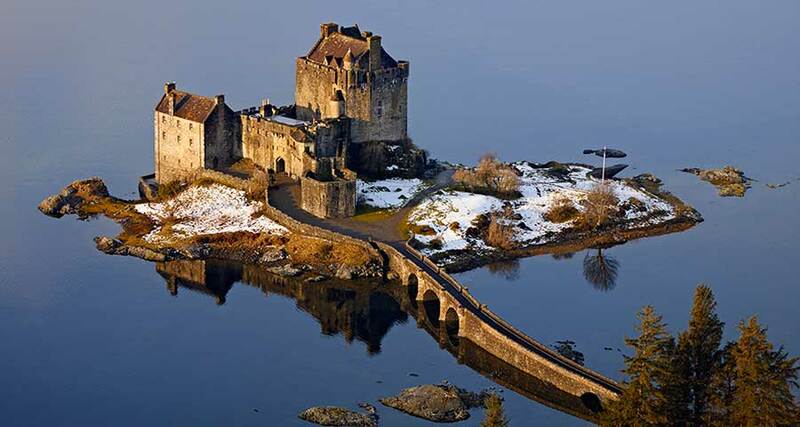 Today takes you north along the west coast, passing the impregnable Castle Stalker and visiting Glencoe. Then you travel on to Fort William sitting in the shadow of Ben Nevis, the UK’s highest mountain. From here we continue along the Great Glen and onwards to the iconic Eilean Donan Castle. We end our tour today in the picturesque fishing village of Plockton where we stay for 2-nights. Today we focus on exploring the legendary Isle of Skye. Your guide will help you choose the best itinerary to suit the weather and local conditions, and provide the opportunity to get off the beaten track. You may visit Elgol for views into the Cuillin Mountains, Glenbrittle with its waterfalls and wild scenery or perhaps Dunvegan Castle. This morning, enjoy your private transfer to Edinburgh Airport and board your short flight to Dublin, Ireland. Explore Dublin City this afternoon and evening at your leisure. 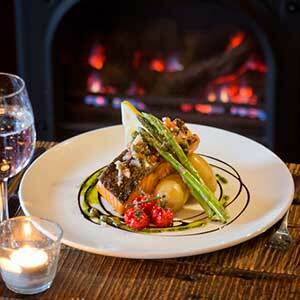 The best restaurants and pubs will be on the doorstep of your city center hotel. 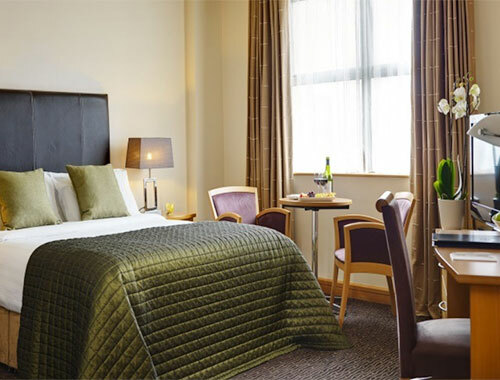 Stay overnight in Dublin. Join your small group tour this morning. 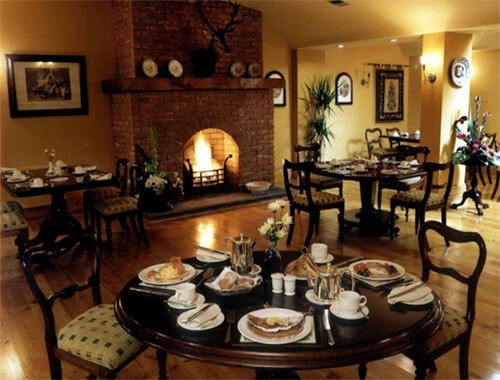 Your tour departs Dublin and travels west, stopping at Locke’s Distillery in Kilbeggan. Try the local whiskey before continuing to Clonmacnoise on the banks of the Shannon River to explore one of the most important early Christian sites in Ireland. 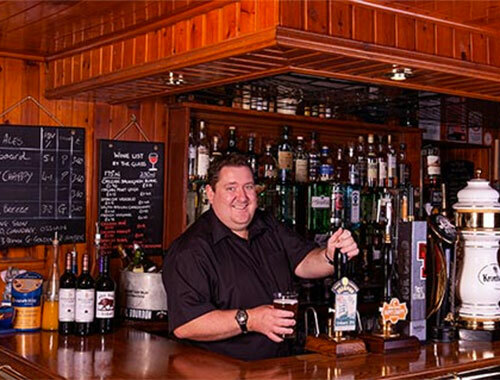 Afterwards visit a traditional village pub before arriving in Galway City for your overnight stay. 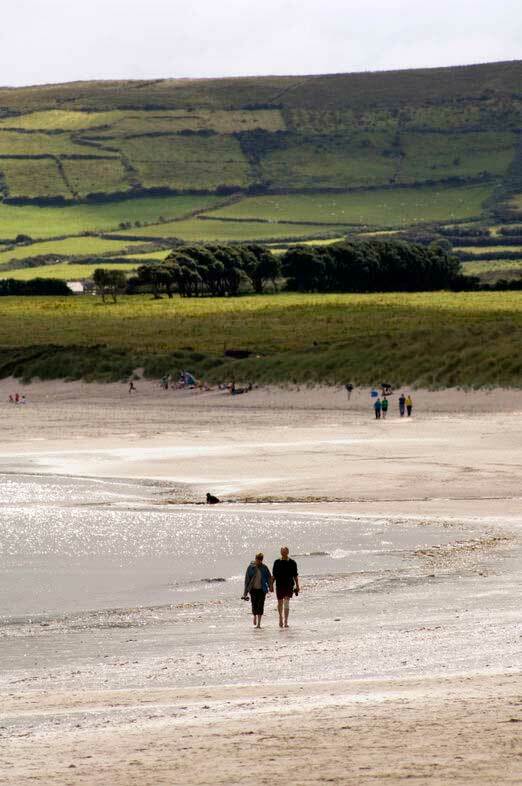 Today we explore County Clare driving to The Burren, one of Ireland’s great natural treasures. This is a land of limestone pavements, barren hillsides, rare flora, early Christian settlements and ancient stone monuments. 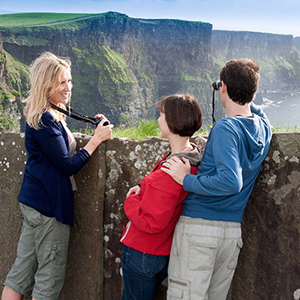 The afternoon we will spend at the breath-taking Cliffs of Moher, over 700 feet high! Afterwards we cross the Shannon estuary by ferry to arrive in Killarney, County Kerry for the next 3 nights stay. Today takes you to the Dingle Peninsula, an area famous for its stunning scenery and Gaelic Culture. You will see ancient forts, early religious sites, Slea Head, Inch Beach and Dingle itself, surrounded by views to offshore islands and the mountains of Kerry. 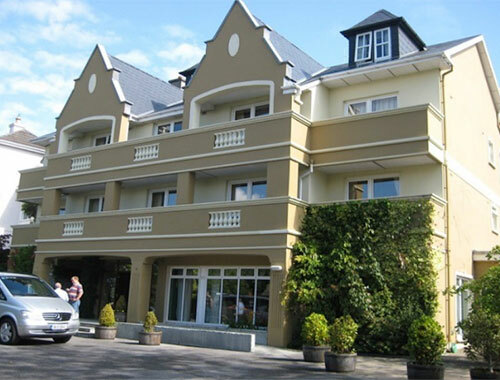 Today you will travel the famous Ring of Kerry, one of the world’s classic touring routes. Immerse yourself in the rich heritage and breath-taking scenery from ancient ring forts and historic houses to small fishing villages and beautiful beaches. This is a day packed full of interest and photo opportunities. Today continues east through the West Cork mountains to Blarney. Here you can visit the castle and gardens as well as explore the village. 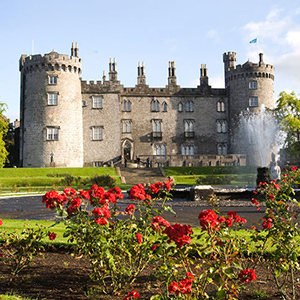 Afternoon stops include the Rock of Cashel and Kilkenny City before arriving back in Dublin. 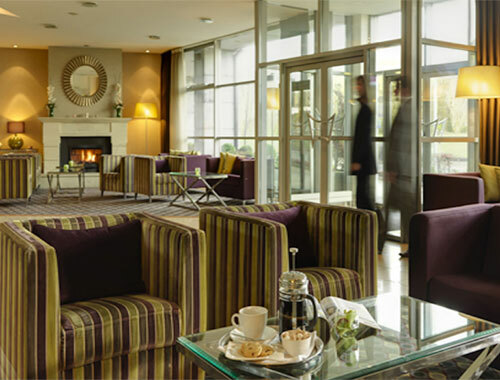 Enjoy an overnight stay in your Dublin City Center hotel. Enjoy your private transfer to Dublin Airport and prepare for your return flight home to the United States. 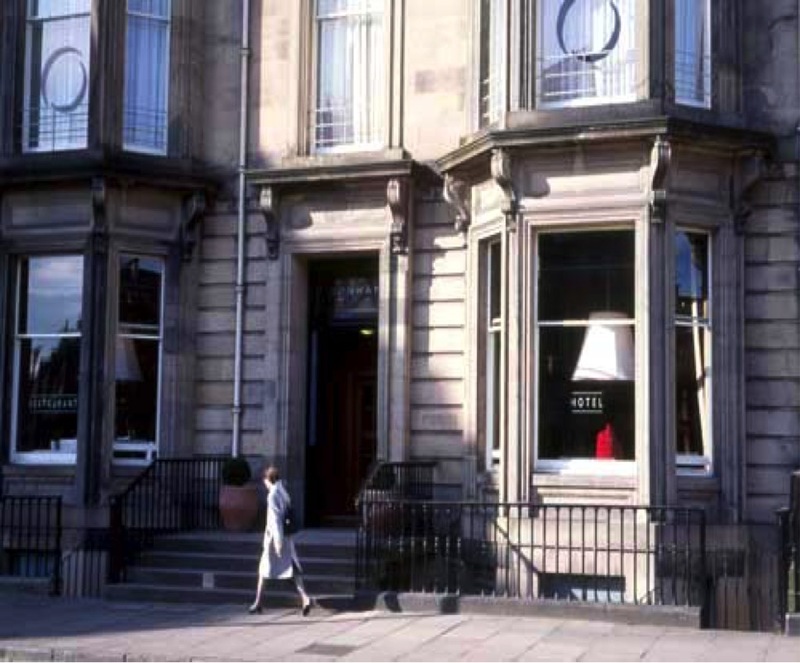 The Bonham is a luxury four star boutique hotel situated in the West End of Edinburgh. 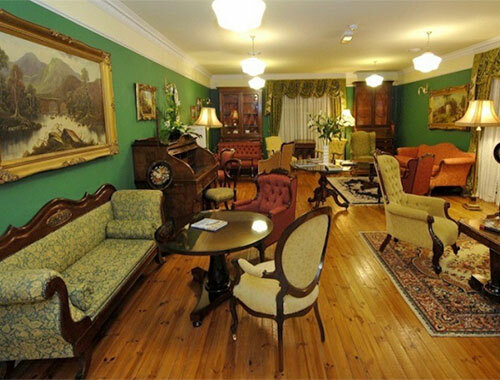 The relaxed ambience within the hotel promises that you will leave feeling refreshed and relaxed. 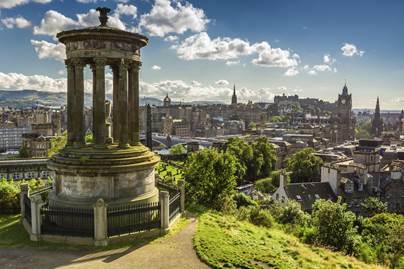 Set in a quiet leafy crescent, a stones throw away from the main attractions and surrounded by the stunning backdrop of this magnificent Scottish capital city, The Bonham is without a doubt one of the most stylish hotels in Edinburgh, plus they have complimentary car parking! 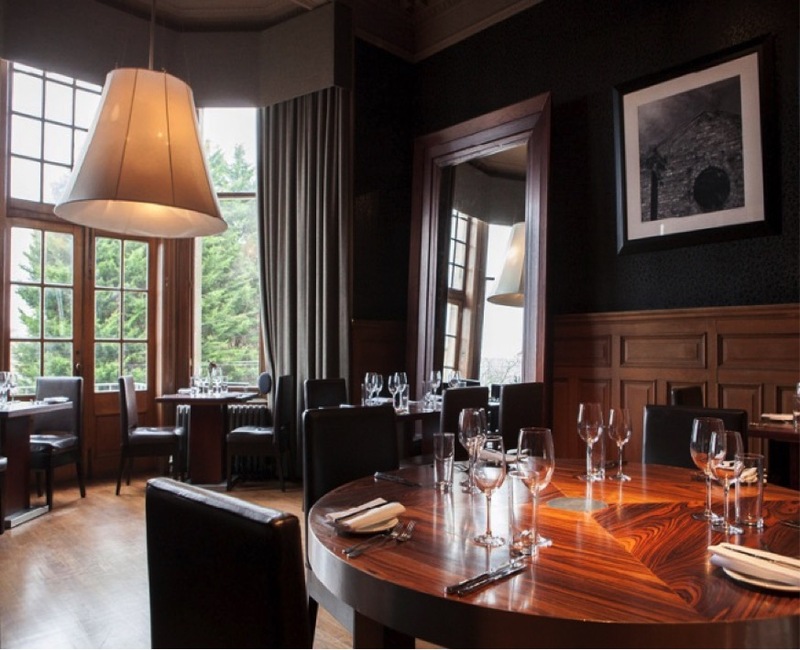 At The Bonham hotel in Edinburgh, they have used bold color, rich texture and contemporary art and photography to build an environment that is fun, upbeat yet relaxing, welcoming and with the unmistakable buzz of being part of a great Scottish city. 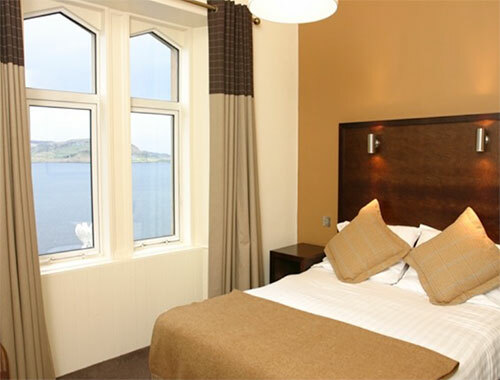 Set on the edge of Oban's picturesque Esplanade, Oban Bay Hotel & Spa is the ideal base from which to explore Scotland’s west coast. 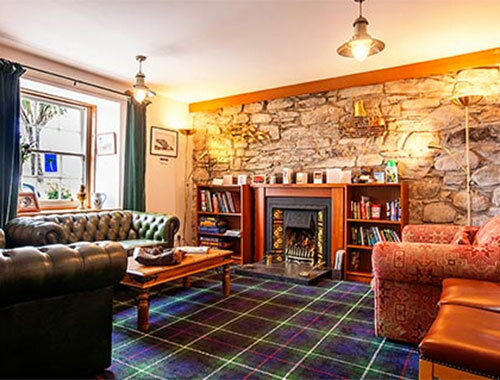 Their spacious sun lounge offers a panoramic view of the bay, the island of Kerrera and the mountains of Mull. 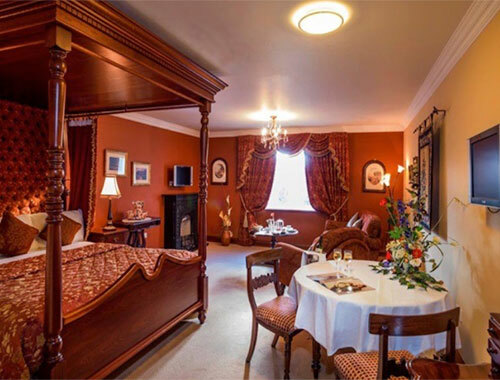 The modern bedrooms and luxurious suites are appointed to a very high standard. 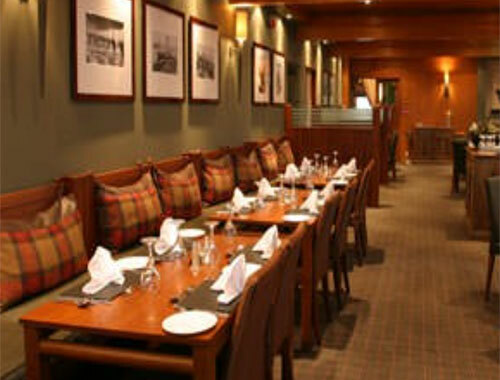 The Rannachan Restaurant both has a table d’hôte and à la carte menu featuring fresh, local seafood and our stylish bar serves meals throughout the day. 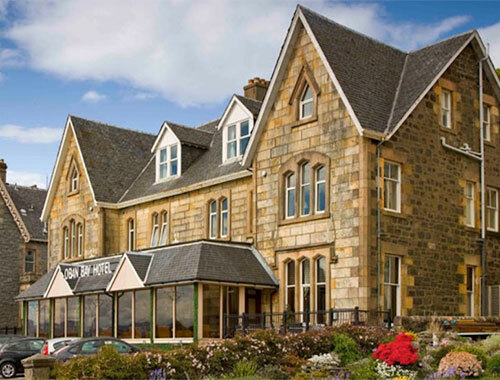 The award-winning Plockton Hotel offers excellent accommodation, stunning views and delicious dining in one of the most scenic areas of the Scottish Highlands! The West Highlands of Scotland in a bygone age enjoyed a reputation for a warm welcome and caring hospitality. Today in an age of changing values, the Plockton Hotel still maintains these much sought after but often now rare qualities. Family owned and run by the Pearson family (Dorothy, Tom, Alan & Ann-Mags) for the last twenty years, the hotel is the sort of place difficult to leave & easy to return to. This is the Highlands — land of Clans and Castles, bitter rivalries and breathtaking scenery. With stunning vistas at every turn one could perhaps expect that journey’s end might be something of a let down — not Plockton! As one descends the main street a surprising and unique panorama opens up — sheltered by watchful mountains and fanned by the warm air of the Gulf Stream, the deep blue sea loch, Loch Carron, laps at the very edge of a sweep of white-washed Highland cottages overshadowed by, of all things, palm trees!